A memoir of healing the many holes in one heart. The daughter of a Jewish mother and a Muslim father, Parnaz fled persecution in Iran as a young girl and grew up an immigrant in Los Angeles. Nineteen years later, after the death of her father and a frightening diagnosis for herself, she decides rekindling her shattered spirit is more important to her than undergoing open-heart surgery. She returns to her homeland, this time as a stranger. A memoir about transcending boundaries and the meaning of hospitality—not only in the sense of welcoming others into our lives but also of remaining open to the world in the wake of loss. Parnaz Foroutan was born in Iran and spent her early childhood there. 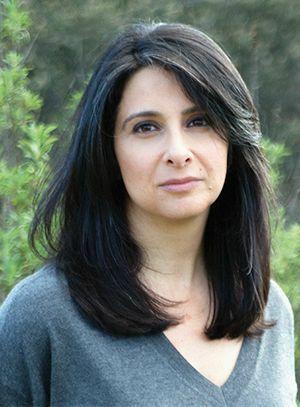 She is the author of The Girl from the Garden (Ecco 2015), for which she received the PEN USA Emerging Voices fellowship. Parnaz has also received grants from The Elizabeth George Foundation, the Barbara Deming Foundation, and a Hedgebrook Fellowship. She lives in Los Angeles.